I am Rubina Bhatti originally from Lahore, Pakistan. I belong to a lower middle class family with strong morals. We are four sisters and one brother. We all were very bright academically. I was only eight when the sudden death of our father left us in great financial crisis along with several other problems. When I finished school I got 18th position in the whole district but it could not prolong my life as a student and I had to stop my studies because of financial problems. In 2000, when I came to England to live with my husband I hoped to resume my studies and pass my driving test to settle in England in a proper way. I had big dreams and also the zeal to match them but nature had different plans for me. After a month of my arrival I got pregnant. It proved a difficult pregnancy and to make things worse I was supposed to do all the housework in a house of eight family members. Anyway my first baby was born and then only two and a half months later I was expecting again. My miserable condition led me to believe that I might never be able to fulfil my dreams of further education and an independent life. Lost in raising my children and looking after the family I was oblivious to my own existence. That isolation from the external world sucked even the last drop of my self-confidence. Then almost six years later I had my third son. He was diagnosed with a speech problem when he started nursery. One day I got a call from my son’s school asking if I was interested in joining a Family Learning Language Course as even at the age of four and half he would scarcely say a word. I accepted that offer in the hope it might enable me to improve his speech and studies. That was how God put me back on the path of learning almost fifteen years later. It proved a great experience for me and my family. During that course I learnt so much about the UK. It was like I never knew this country before. I learnt about the education system which changed my approach towards my children’s learning. Sulaima, my youngest son was doing much better in class in every aspect. His growing confidence made me feel proud of my decision to join the course. I started helping my other two sons in their learning as well, which improved their grades at school. I helped my middle son in preparing for the entry tests for Reigate Grammar School on my own as I could not afford the private tuition fees. When he passed the test I felt like I had passed. 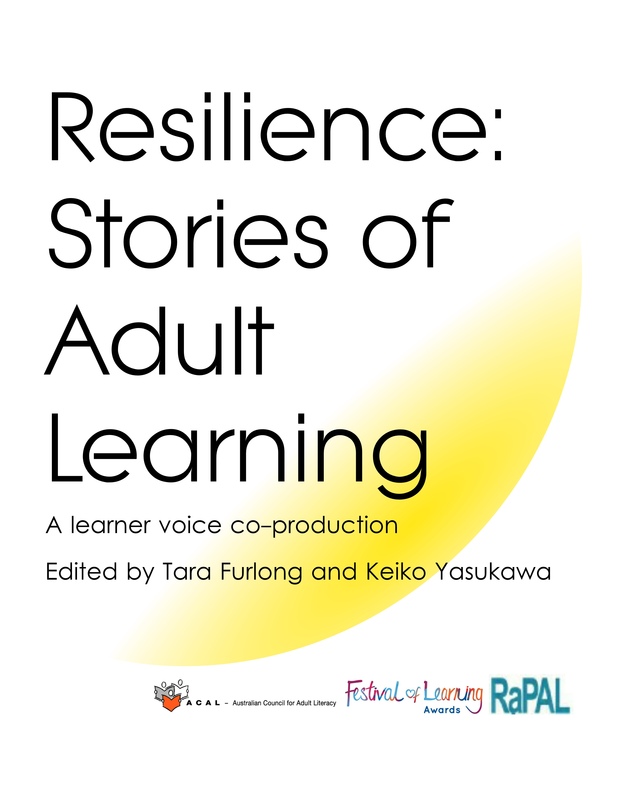 Those were the things which helped me regain my confidence and inspired me to keep up with my adult learner life. After passing the reading module of a Level 1 Functional Skills English qualification, I did another Family Learning course and passed the writing and speaking exams to get full the Functional Skills English qualification. At the same time, I did three other courses with WEA which included Microsoft Word Skills, Helping in Schools Level 1 and 2. At the moment I am doing GCSE Maths and English (higher tier) so I can help my older sons to prepare for their GCSEs from next year. For the last two and a half years I have been volunteering in my little son’s school. I am also doing a job as a creche worker in the same school and hoping to get a job as a Teaching Assistant. My life is even busier now as I have to manage everything alongside my studies and work myself. After putting my children to bed I start doing my college work and usually stay awake until two o’clock at night. In 2013, my family learning course class teacher nominated me for the Adult Learner Award 2014, now Festival of Learning. Thursday, 10th of June 2014 at London Canal Museum I experienced one of the proudest moments of my life when I received an individual award for South East Learning in Families and Communities. I went there with two of my sons and my husband. In that ceremony we were surrounded by some amazing real life heroes. Their heart touching stories brought tears to our eyes and made us feel humbled and privileged. On our way back home my husband told me that it was the best event of his life. I advised my children if those people could achieve what they struggled for despite all difficulties and disabilities then you should have no excuse to not excel in life ahead. Since that day I have witnessed that they have been more serious in their attitude towards studies and life in general. My husband doesn’t get tired of saying how I and that evening have inspired him to do something good in life. He had finished his studies after GCSEs as he was never interested in academics but after that event he applied for a crash course as a Gas Safety Engineer. Amazingly within four months he has become an engineer. We both are trying to pass our driving test and planning to do some more courses in future. My husband very proudly says we are a learner family. That event had such an inspirational atmosphere to it that we still talk about it and get motivation in our lives. In the end I would like to say that we all get only one chance to live in this world. Some live to inspire others but most of us get inspiration to live it. It is not important which category we fall in but whether we are bringing the best out of it or not. We are born as students until death, so we should never let anything come our way to success and betterment. I firmly believe that a healthy action originates from a healthy and positive thinking mind and that is the most essential thing to make this world a beautiful and peaceful place to live. Rubina Bhatti attended a 30-week Keeping up with the Children (Language) course I ran at St Matthews Church of England Primary School in Redhill, Surrey in 2012-2013. The course was provided by Family Programmes, which is part of Surrey Adult Learning . The main objective of Family Learning Programmes is to develop the skills of parents/carers and children together. One of the reasons why some children struggle at school may be the lack or amount of appropriate support they get with their school work at home. Family Learning courses are set up in partnership with schools and children centres who invite “targeted” families: families who will get the most benefit from the opportunity to access this kind of free learning because, e.g. parents have lower academic skills or do not have English as their first language. There are two types of courses: Wider Family Learning (WFL) and Family English, Maths and Language (FEML). WFL courses aim to encourage families to learn something together, e.g. Cooking on a Budget, Family First Aid, Managing your Money, Steps into School, etc. FEML courses aim to help parents/carers understand how English and maths are taught at school and thus to increase their ability and confidence to support their children and to improve their own skills. They also offer learners the chance to gain qualifications (e.g. Functional Skills, OCR Progression Units) and to receive guidance on how to progress to further learning or employment. 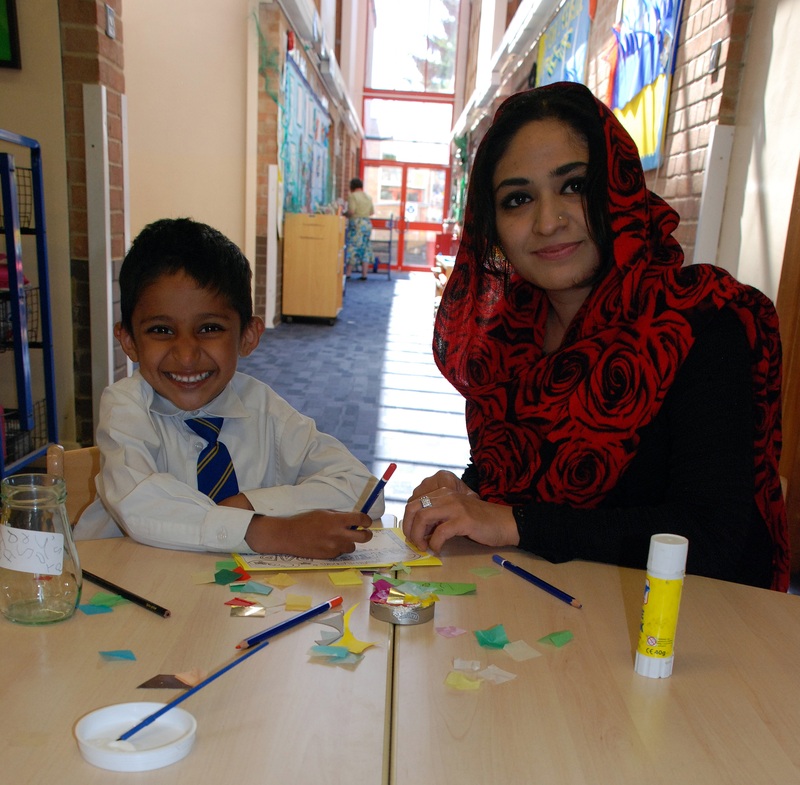 Rubina was invited to a Family Learning Language course at St Matthews because her son, Sulaiman was very shy and quiet in class and his teacher thought that he and his mum, whose first language is Urdu, could benefit from the opportunity of learning together. It was a “joint” course, which means that in the first ninety minutes of the session parents worked with me (Family Learning tutor) and children worked separately with a school teacher, and then there was a thirty minute joint session where parents and children worked together, e.g. sequenced a story, wrote a card, decorated a biscuit, made a finger puppet, etc. Rubina was very keen to attend the course as she had not had the chance to do any formal learning since she arrived in the U.K. twelve years before. She had been busy raising children and looking after a rather large family where her own needs were not always given priority. She never missed a class and always did the home activity I set for her and Sulaiman. She had a thirst for knowledge and applied everything she heard in class to improving her own and her child’s skills. In addition to covering topics related to the children’s learning at school and life in the U.K., parents also prepared for the reading module of the OCR Functional Skills English exam at various levels. Rubina passed the level 1 Reading module in June 2013. She attended an adult only family learning language course the following school year and passed the speaking and listening and writing modules in June 2014. It was absolutely fascinating to see how profoundly an opportunity to learn could make someone’s life change for the better: Rubina’s self-esteem grew quickly and she started to feel confident enough to sit down and learn not only with Sulaiman but with her two elder sons, too. A few months into her first family learning course she said she would really like to help out at her child’s school. I encouraged her to speak to Sulaiman’s teacher and a few weeks later she started volunteering: she worked two days at the school reading with children and helping in the library. Soon she was asked to do three days. To be better equipped for her voluntary role, she gained level 1 and level 2 Preparing to Help in School qualifications with the Workers’ Educational Association. Next she enrolled on and completed a couple of IT courses (Microsoft Word and Microsoft Excel). Towards the end of the first family learning course we all went on a trip to East Surrey College, which is the local further education provider. The objective of the trip is twofold: on the one hand, I would like parents to see where their children might gain qualifications in the future, on the other hand, I would like the parents to meet ESOL tutors and to learn about courses that they might be interested in. We often forget how scary it can be to walk through the doors of a huge and impressive building and to talk to staff if one’s first language is not English. These visits always encourage people to come back and enrol on courses. Rubina was very interested in progressing to mainstream education and made an appointment for an assessment. In September 2014 she enrolled on her GCSE English and maths courses. She took her exams having been an outstanding student all through the year. Rubina passed her English and maths GCSEs summer 2015 and has since enrolled on a health and social care course at university. I nominated Rubina for an individual award (Adult Learners’ Week, now Festival of Learning) and she was awarded a Learning in Families and Communities Individual Regional Award (South East) in 2014. The awards ceremony in London was an unforgettable and extremely inspiring event for Rubina, her family and myself. Her achievements and the awards ceremony have had a positive impact on her family: all her children are doing very well at school and even her husband has gone back to college and has recently gained a qualification in gas safety. Rubina has been very supportive of other students, too. She always gives advice and encouragement to others. She is a fantastic role model in her community and a great example to all those who have moved to the United Kingdom and want to contribute to this society. I feel privileged to have been able to see Rubina’s transformation from being a woman whose primary task in life a little over three years ago seemed to be looking after a big family to being a woman who is planning to train to be a social worker. Without the opportunity of attending a family learning course, Rubina may have never had the confidence to learn with her children or to talk to the school about volunteering there, let alone think about pursuing a career in social work. The opportunity presented itself when the school invited her to the course but it was up to her to make the best of that course and of further learning opportunities to progress. Her enthusiasm for and commitment to improving her skills and then using these skills to help others are quite exceptional. I love my job and find working with adult learners very rewarding but when I have students like Rubina, I feel the most fortunate person in the world.